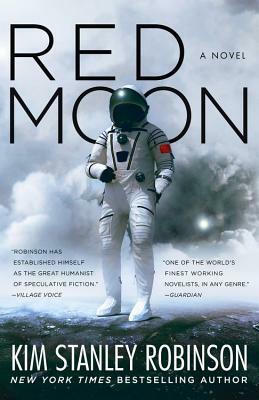 Red Moon is a magnificent novel of space exploration and political revolution from New York Times bestselling author Kim Stanley Robinson. It is thirty years from now, and we have colonized the moon. American Fred Fredericks is making his first trip, his purpose to install a communications system for China's Lunar Science Foundation. But hours after his arrival he witnesses a murder and is forced into hiding. It is also the first visit for celebrity travel reporter Ta Shu. He has contacts and influence, but he too will find that the moon can be a perilous place for any traveler. Finally, there is Chan Qi. She is the daughter of the Minister of Finance, and without doubt a person of interest to those in power. She is on the moon for reasons of her own, but when she attempts to return to China, in secret, the events that unfold will change everything - on the moon, and on Earth. Kim Stanley Robinson is a New York Times bestseller and winner of the Hugo, Nebula, and Locus awards. He is the author of more than twenty books, including the bestselling Mars trilogy and the critically acclaimed Forty Signs of Rain, The Years of Rice and Salt and 2312. In 2008, he was named a "Hero of the Environment" by Time magazine, and he works with the Sierra Nevada Research Institute. He lives in Davis, California.